Partnership building is at the very core of what we do. We always work together with stakeholders from government, business and civil society, in order to support the government’s road safety plan. The solution to the global road safety crisis can only be implemented through multisectoral collaboration and partnerships. We specialise in bringing together all the relevant stakeholders, from business, government and civil society organizations, and helping them to implement good practice road safety solutions adapted to their local language and culture. The three “voices” of the business, government and civil society each have something unique to bring to help solutions take root. The civil society sector brings the voice of change, and societal improvement. The business voice brings target setting, focussed efficiency of action. The government voice brings the ability to enshrine efficient social change into the legislation. These three voices are often not that comfortable working together. Despite the very different approaches used by three voices, they find within our partnership the right platform and space to discuss, find solutions, and work towards a common objective. Under the unique neutral umbrella of our host organization, the International Federation of Red Cross and Red Crescent Societies, we are able to help the sectors work effectively together and to contribute towards things they can do together. It’s an approach that is built upon the human power and energy already on the ground in the places affected by the road crash crisis. The beauty and effectiveness of the partnership approach is that it unites working teams – from the highest levels of government to local schools and villages – towards implementing sustainable, locally owned and managed solutions. From the global to the local level, there is an exciting new synergy being forged aiming at halting this man-made humanitarian crisis. The Global Road Safety Partnership is emerging as a leader in this road safety revolution. 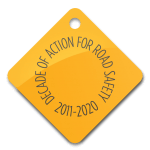 This typically will be an independent charitable organization committed to using our multi-sector partnership and good practice approach to support the national road safety action plan. It will sue a locally tailored version of our logo, and will have partners from all sectors who bring funds and project management capability. We help these organizations build towards sustainability with our technical expertise and networks. This brings together the city transport, education and health departments, the city police, local business and NGO partners. 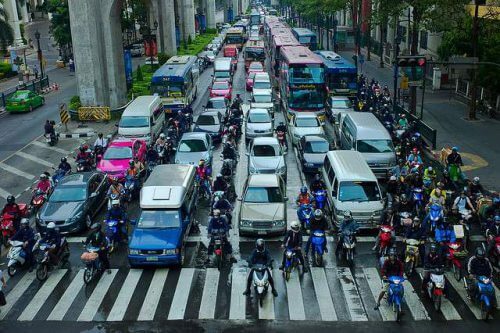 We use our “Proactive Partnership Strategy” methodology to support these partnerships towards improving their city road safety culture, and so the quality of life in the cities. Typical examples are São José dos Campos in Brazil and Seam Reap in Cambodia. This collaboration is usually formed from different sectors to implement good practice projects in their region of interest. While these collaborations are not formal in nature, they can be astonishingly effective, as the regions of Warmia-Mazury in Poland and Sakhalin in Russia have proven. Learn more about membership opportunities and our current members.